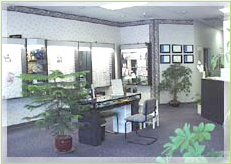 Our goal is to provide excellence in eye care services and products. We pledge to make your vision needs our priority. We provide comprehensive care including eye examinations, medical eye services, myopia control including orthokeratology/corneal reshaping, contact lens service, and refractive surgery comanagement. We utilize state-of-the-art ocular technology, and constantly strive for the highest profesional standards in everything we do while maintaining a friendly, personal atmosphere. We look forward to the opportunity to meet you.